The building at Ita Faji area of lagos Island is over 30 years old. The Commission for Health in Lagos State, Dr. Jide idris, sys 20 victims of the Ita Faji school building were brought in to the hospital dead. The death toll in the Ita Faji collapsed school building has now been put at 20. People in Lagos Island area of Legos as still trying to come to terms with reality of the death that visited the community in the morning of Tuesday, bringing down a building. Persons in the building at the time were more of students of a primary school. 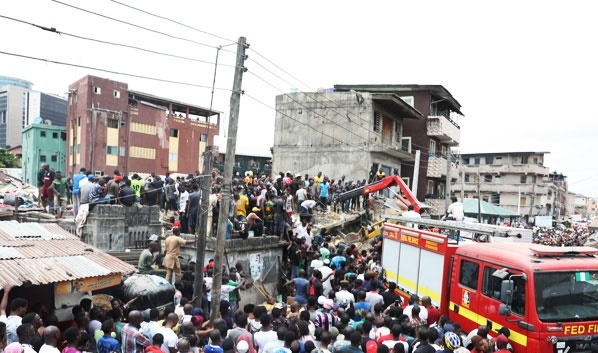 On Friday, the Lagos State Commissioner for Health, Dr. Jide Idris, said that 20 victims of the Ita Faji school building collapse were brought in dead to the General Hospital in Lagos. Idris made the fact known during his visit to the hospital on Friday. He said, however, that 45 persons survived the collapse and were managed across some of the state health facilities, including Lagos Island General Hospital, Massey Street Children’s Hospital, Onikan Health Centre and the Gbagada General Hospital. The Minister of Health, Professor Isaac Adewole, has also commended the state government for prompt response and efficient healthcare management of survivors of the accident.